Phuket is among the world’s finest luxury villa destinations, with picturesque white sand beaches, swaying palm trees, shimmering waters and bustling towns. It has something for everyone. 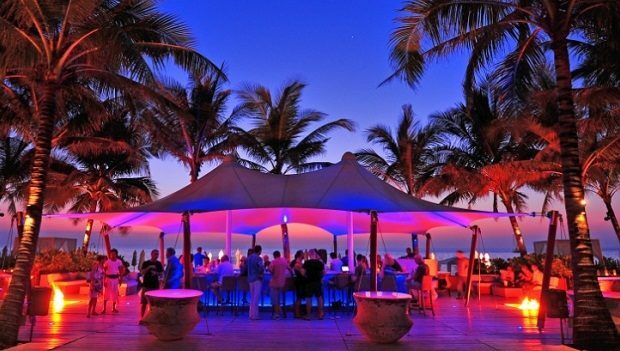 Being notoriously famous for its many luxury villas, exclusive resorts and the glamorous beach clubs, it’s a perfect destination for your next holiday. 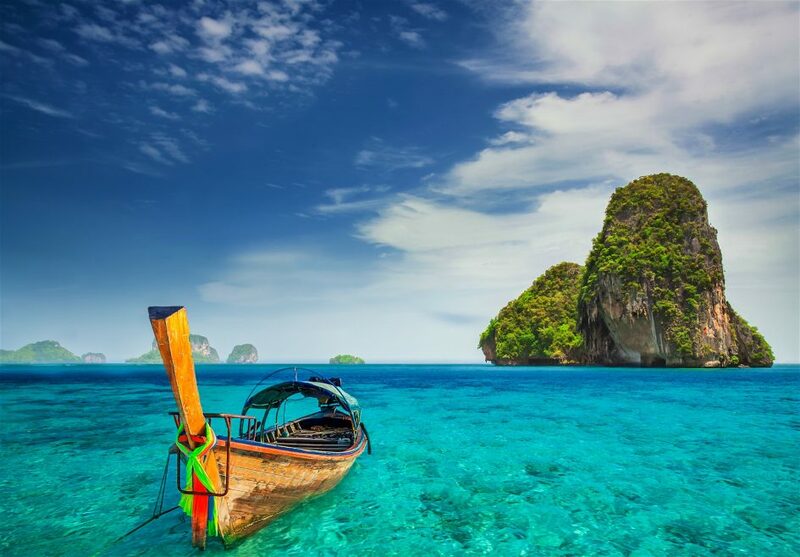 If visiting the many amazing attractions of Thailand’s largest island, you can fizz around via speedboat to visit the many nearby tropical islands, including the famous Phi Phi Islands, or take your time and wander around the mystical Phang Nga Bay. 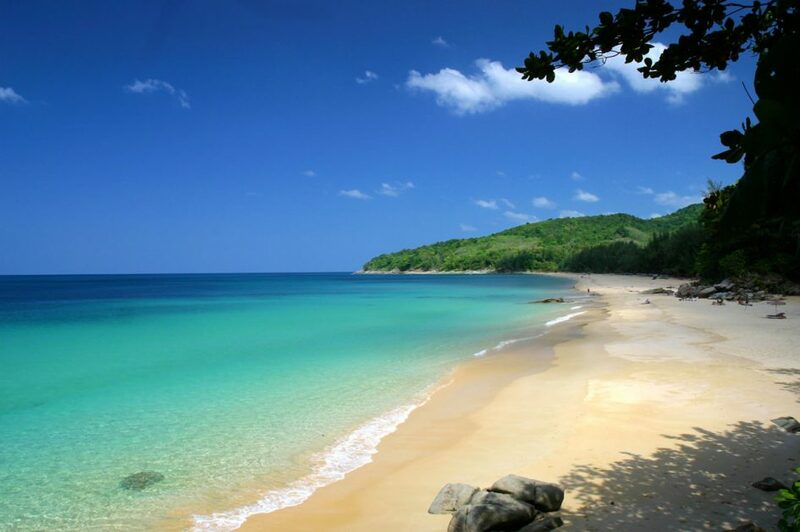 Phuket has over 30 amazing beaches to choose from. Patong Beach, Kata, Karon and Kamala have always been the most popular, but the north of the island around the Sirinat Nation Park reveals hidden treasures for visitors looking for a more romantic vibe. If you are looking to visit Phuket this winter you surely must consider going during the festive season, over both Christmas and New Year there is so much going on around the island. At Christmas you can be treated to a hearty traditional roast dinner at all of the luxury villas in Phuket that we feature. At the villas it can be arranged to have a festive tree and perhaps even a Father Christmas visit. The centre of Phuket is always buzzing around the festive period with the main streets in town having various decorations. As Thailand is mainly a Buddhist country it is not going to have the full western expectation that some guests may have. But it more than makes up for this with the always friendly atmosphere at the welcoming attitude of the locals and visitors alike, you are in Thailand for Christmas after all! Phuket at New Year has to be one of the go to places on anyone’s list. 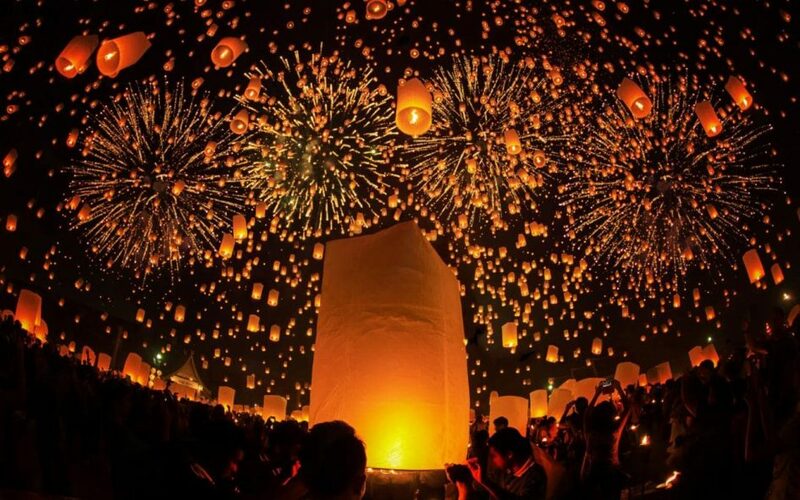 Being one of the first places to see in the New Year, Phuket has some of the most spectacular areas to celebrate the New Year. From the many beach gatherings with opulent firework displays, to the town centre which will be a great experience for any one looking to see in the New Year in style. Another option to celebrate the New Year would be to stay in one of Thailand’s finest luxury villas and have your very own private fireworks display and delicious celebratory meal in a truly stunning property. Luxury Villas to Rent in Phuket…..
Villa Yang Som would be one of the ideal places to stay in over the Christmas and New Year in Phuket. A traditionally styled villa with all the luxury amenities one would expect when visiting such an iconic property. Situated in an exclusive hilltop development which is surrounded by the Andaman Sea, Bang Tao Bay and Surin Beach, the view from this luxury villa is one to be desired. If you can see yourself relaxing in the 18 metre infinity pool on the first floor admiring the New Year’s Eve fireworks, or enjoying a Thai style Christmas dinner in the alfresco dining area, click here to find out more. If you were looking to stay at a luxury beach front villa in Phuket, you must consider staying in Villa Oceans 11. 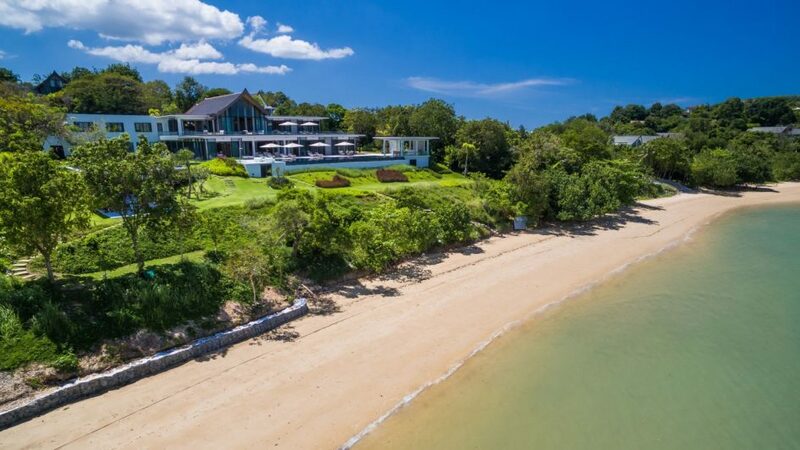 As you may have guessed this luxury villa has a prime beach front position with stunning views over the ocean and the surrounding mountainous area of the east coast of Thailand. The main feature in the villa is the massive infinity pool for which Thailand has become famed for. Villa Oceans 11 boasts one of the largest, at around a whopping 26 metres long and 8 metres wide. If this sounds like your sort of winter sun holiday, click here to find out more! 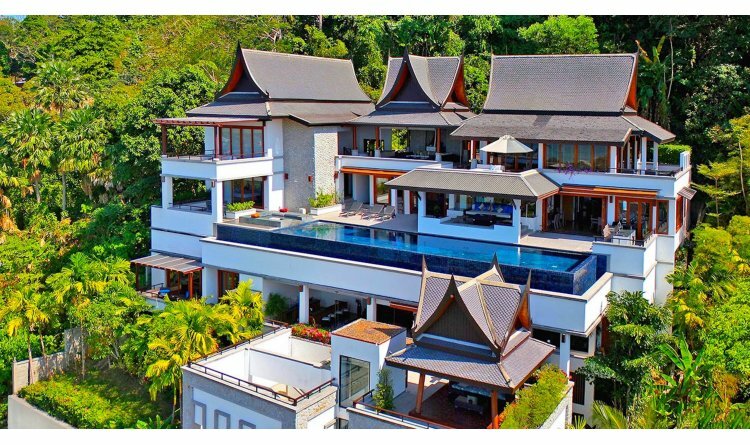 A luxury family villa that stands out amongst the beachfront villas in Phuket is Villa Amarapura. The villa features a large outdoor dining area complete with barbecue, perfect for a large family to get together over the festive period. Another reason why Villa Amarapura is a great luxury family villa is the massive cinema room, not to mention the golf simulator next to the pool table, which will give the kids enough to occupy themselves with while the parents can relax beside the pool and lap up the sun. If that isn’t enough this villa also features a basketball court and a grass tennis court. What more could you ever need? Perfection! 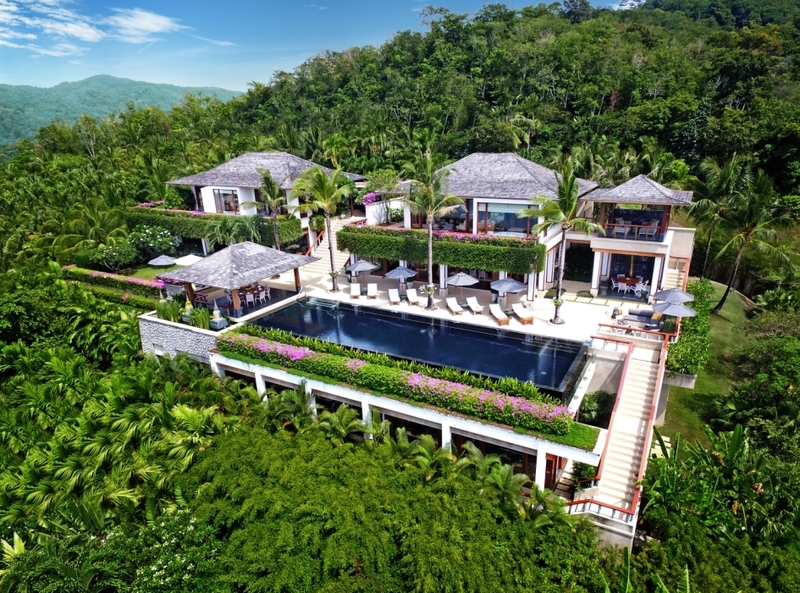 Like the sound of a luxury family villa in Phuket this winter? Click here for more information. The luxury Villa Horizon set on the Millionaire’s Mile in Kamala could be the perfect winter sun villa that you are looking for this upcoming festive season. This exquisite villa features 6 lavish fully en-suite bathrooms with stunning views over the golden sandy beaches overlooking the Andaman Sea. This luxury winter sun villa is nestled away at the top of a private luxury residential villa area offering privacy for those who wish to have some private space to themselves. The WOW feature in this villa has to be the pool, at 21 metres long, you can easily string a few lengths together whilst gazing out into the ocean. If this is the type of villa you’re looking for this festive season please click here to find out more! So there we have it, if you are looking to visit Phuket over this coming festive season, please don’t hesitate to get in touch to secure your luxury winter sun villa. Give us a call on +44 1202 203 656 or send us an email.